Unum’s Caring Report reveals new trends in employee benefits preferences. Visit here. August 09, 2018 — CHATTANOOGA, Tenn.–(BUSINESS WIRE)–Employee benefits provider Unum (NYSE: UNM) finds the majority of workers (58 percent) want paid family leave from their employers, including nearly two-thirds (64 percent) of millennials. In an online poll of 1,227 working U.S. adults conducted last month, paid family leave outranks other popular perks*, like flexible and remote working options (55 percent), sabbatical leave (38 percent), student loan repayment assistance (35 percent), pet-friendly offices (15 percent), and pet insurance (15 percent). 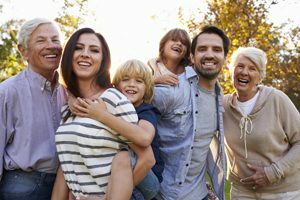 The Family Medical Leave Act (FMLA) of 1993 provides certain employees with up to 12 weeks of unpaid, job-protected leave per year to care for a newborn or adopted child, care for an immediate family member with a serious health condition, or take medical leave for their own serious health condition. It applies to all public agencies and companies with 50 or more employees. Employees using FMLA must have worked for their employer for at least 12 months or worked 1,250 hours in the previous 12 months. In early 2018, New York joined California, Rhode Island and New Jersey in providing paid leave for employees who need time off to care for sick family members or to bond with a new child. In addition to these states with active paid leave laws, D.C. and Washington state have passed paid leave laws that will become effective in 2020, and legislation isunderway in dozens of other states and municipalities to implement variations of paid family leave.